Fast - Courteous - Reliable. 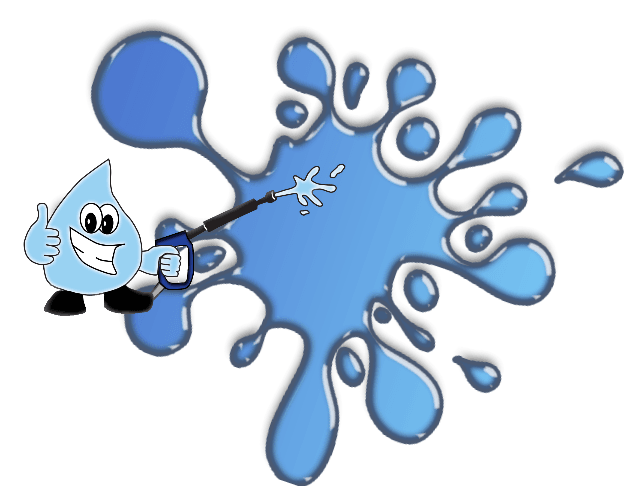 Residential and Commercial power washing service. Removing the stains mildew and algae from a roof will not only make it look better but will also extend the life of your roof. Read More..
Soft wash uses environmentally safe cleaning solutions and low pressure applications, meaning it will not harm the planet or your roof shingles, paint or siding. To get a free price quote simply click the get a free quote button or call us right now. Our prices are based on man hours more than on square footage so we can save you money. We also offer "Group Rates" for neighbors that want work done on the same day. What is on your roof is actually a type of algae called Gloeocapsa Magma. This algae transfers from one roof to the next through spores in the air. These spores land on your asphault shingle roof and typically begin growing on the north facing side where the roof stays moist longer. In areas of warm humid conditions such as Champaign Illinois this algae thrives. Can you tell me if cleaning my roof will help or if I should replace it? Instead of investing thousands, most times a couple hundred dollars can have your roof free from those ugly black streaks. If your roof is in bad shape we will let you know that your in need of a new roof. Nine times out of ten though we can clean the roof and no replacement is necessary, because the roof is only infested with algae and a roof cleaning will take care of it. How do you clean the whole house? Our Deck Maintenance and wood restoration services consist of cleaning & treating deck surfaces. The beauty & durability of any deck refinishing job depends both on the proper surface preparation & the quality of the product, whether it be sealer or stain. We know that your deck is one of the largest of your outdoor investments. It is extremely important to have a professional power wash wood surfaces. Misuse of the pressure washer can permanently damage the wood surface. 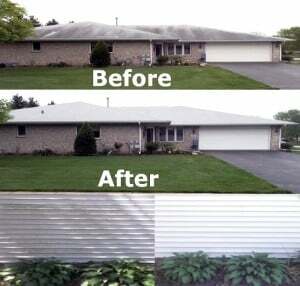 Our trained power washing specialists ensure you that your deck will be cleaned properly and prepared for treatment. Just like concrete brick and pavers offer the perfect breeding ground for algae. We can and do offer brick patio and path cleaning, we offer concrete cleaning and if you need your pool structure pressure washed we can also provide that service for you. Soft Wash Roof and Siding Cleaning Learn More..
"Ability ProWash really does a fantastic job, no surpise hidden fees as quoted Thanks!" Please Like Us While You Are Here! !